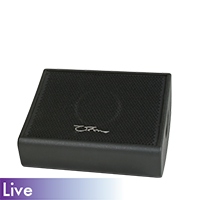 OHM- HD-MX High Definition Monitors - Akwil Ltd.
OHM - High Definition Monitors There are 2 products. 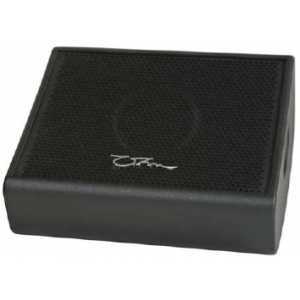 The OHM HD-MX floor monitors are compact and lightweight high powered full range stage monitors. The attractively sculptured design of these enclosures are aesthetically pleasing as well as being practical in use. The kick-proof steel grills are uniquely concave to give extra rigidity without popping when used as a foot rest and are finished with reticulated black foam. The enclosures include two well placed ergonomic handles which allow easy handling when out on the road. Signal input is via 4 pole Speakon connectors linked through to allow multiple daisy chaining. Cable connector concealment, always the weak point of any monitor design has been cleverly recessed into two pockets enabling the cables to be connected and easily accessed whilst keeping the cable management neat and tidy. The connector backplate also houses the switch that changes the monitor from passive crossover to bi-amp mode. In bi-amp mode OHM recommends the SPYDER DSP control software and OHM OYSTER system controller. 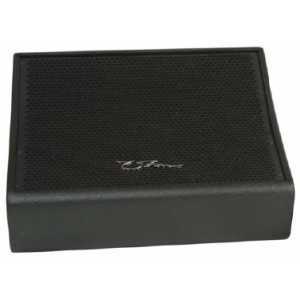 MX-12 is the smaller of Ohm premier monitors, suitable for all kind of small and medium stages. The cabinet design is very discreet, making this an ideal option for tv-studios and concerts, where audio equipments need to fade in the background but sound still needs to be top quality. MX-15 is a larger version of Ohm flagship MX monitors. It is suitable for all kind of small and medium stages. Do you have a question about one or more of our OHM - High Definition Monitors products? Click below to contact us.